Feeling a little down the last few weeks, my friend offered to accompany on a grand Olympic adventure. Having only one day off his job this week, we would need to make this trip in a single push. Those that are familiar to this route, know that it is best enjoyed by spending 1 - 2 nights minimum; to fully enjoy the beauty of this remote area. He must be a masochist as well, to agree on following me on a true test of the legs and mind. Descending from the shoulder of Mt. Fricaba, into Upper Deception Basin. Note: Bring, know how to use a map and compass before attempting this route. Also, be comfortable with off trail travel, tree belaying, light class II scrambling, snow travel,route finding and lots of loose rock. As always, refer to Olympic Mountain Climbers Guide for route descriptions. After a 0430 wake up call, we were greeted with this sign while entering the ONP, near the end of the trail. Torry checking out the views near the end of the trail. Tree Belay - photo by Torry J. 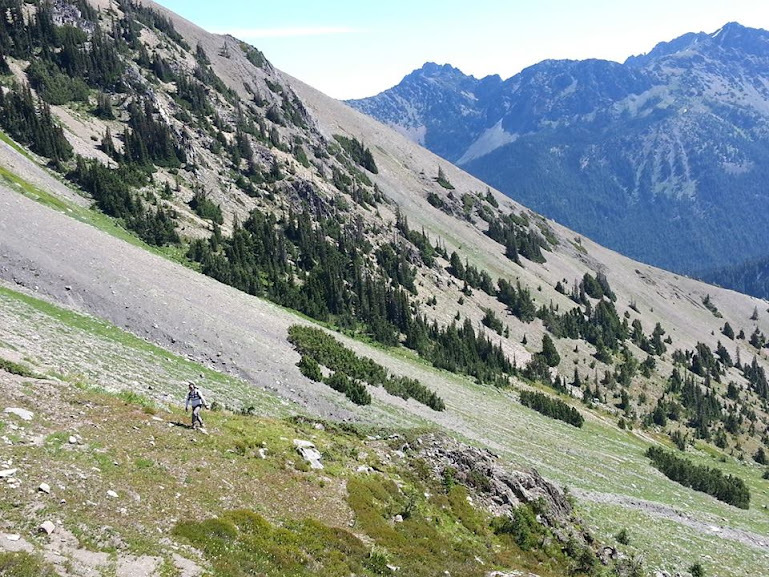 Entering Lower Fricaba Basin - photo by Torry J. Looking back toward Mount Constance from Lower Fricaba Basin and down which we came. Torry taking in the views, that have been at our backs. Ascending Lower Fricaba Basin - photo by Torry J. A test for the legs on this steep terrain. Making our way through Fricaba Basin. Looking into Deception Basin from the shoulder of Mt. Fricaba. Descending, views of Mount Deception. Mount Deception and Pass (right). Looking toward Mount Constance from Fricaba. Hal Foss Peak and Mount Mystery (right). Mount Olympus from Fricaba. Mount Claywood & Lost Peak (center/right). 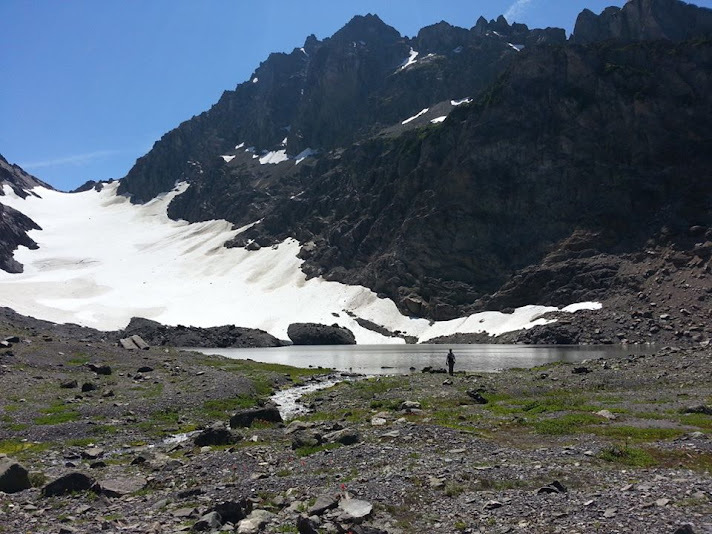 Making our way through Lower Deception Basin, Mount Mystery towering above. Me, with my Gossamer Gear Minimalist, at the foot of the Mystery Glacier. Walking next to Mystery Glacier - by Torry J. Making our way toward Deception Pass. Looking back at Fricaba Pass, from which we came. Torry taking in the views at Deception Pass, looking into Upper Royal Basin. Warm day on Deception Pass, summit of the mountain in background. Descending into Upper Royal Basin. Victim of the sharp scree. Upper Royal Basin, now for the 9 mile trail hike out. 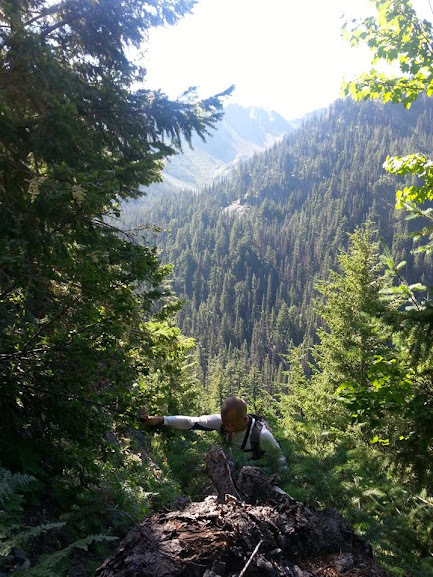 Overall this was a great hike in the Olympic Mountains. 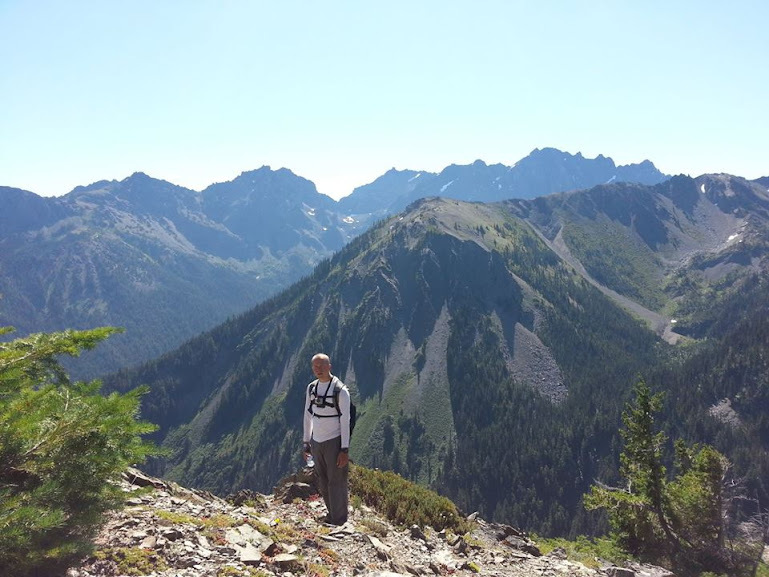 This long day hike, would get us in shape for multi-day backpacking trips into the Olympic National Park. It was fun for the ego to do it in one shot, but its better to enjoy the area and do it in several days.